A couple thousand people in Maryland have a lot riding on "House of Cards." Michael Piekutowski, who has worked as an electrician on the series since Season 4, waits to see whether the hit Netflix drama will survive star Kevin Spacey's sexual misconduct scandal. 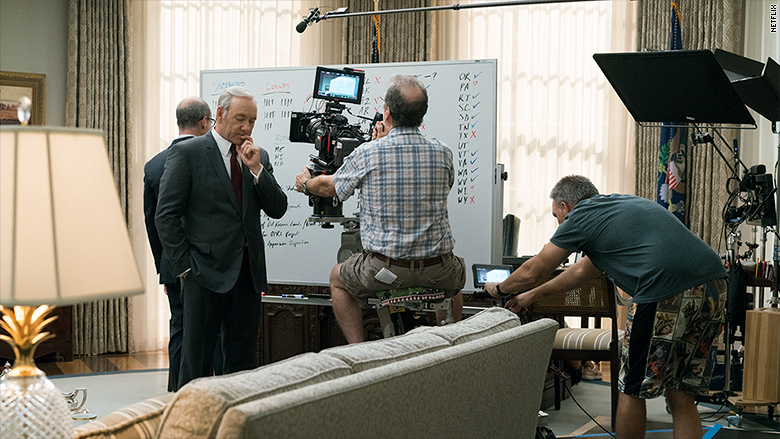 "House of Cards," which for five seasons has been filmed in and around Baltimore, is one of the state's biggest productions. Piekutowski told CNN the show helps the city's economy, not just those who work on set. "There are local businesses that are benefiting from a major studio production, like caterers, dry cleaners, transportation companies," he said. Last week, Netflix cut ties with Spacey, who was also an executive producer for the series, a day after CNN published new allegations of sexual harassment from several current and former members of the "House of Cards" production staff. One member of the production staff also accused Spacey of sexual assault. Spacey's representatives did not reply to a request for comment on the new allegations in CNN's report. They also did not respond to CNN's request for comment on this story. "Netflix will not be involved with any further production of 'House of Cards' that includes Kevin Spacey," a spokesperson for the network said. "We will continue to work with [Media Rights Capital] during this hiatus time to evaluate our path forward as it relates to the show." 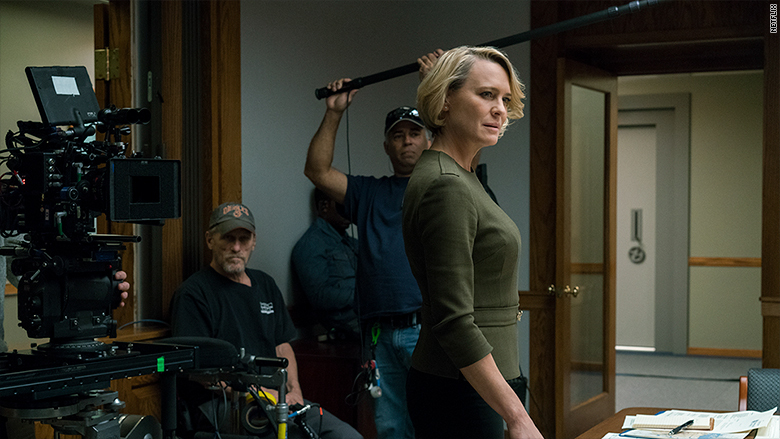 Media Rights Capital is the production company behind "House of Cards." Actor Anthony Rapp first made allegations against Spacey in a story published by BuzzFeed last week in which he said Spacey made a sexual advance toward him at a party in 1986 when Rapp was 14 year old. Spacey issued a statement apologizing to Rapp, who appears on CBS's "Star Trek: Discovery." Spacey claimed he did not recall the incident, but offered "the sincerest apology for what would have been deeply inappropriate drunken behavior." Netflix suspended production on Season 6 of "House of Cards" -- set to be the show's last -- as a result. 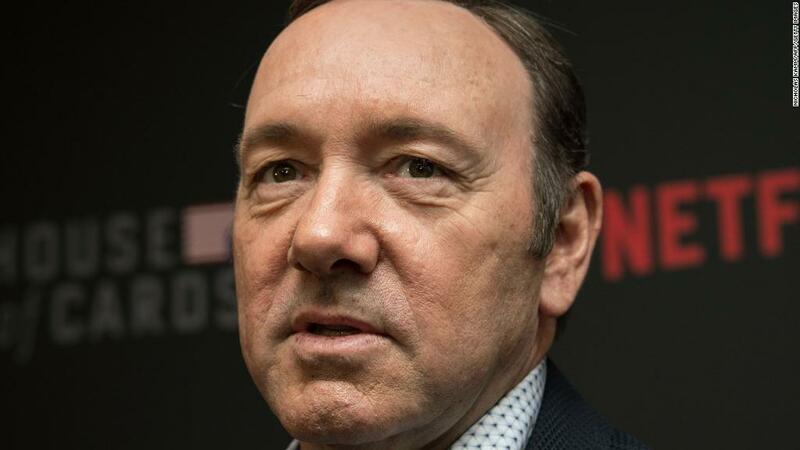 Sources told CNN that the decision, while made public after the first accusation against Spacey, had been known by the production team for months. The Emmy-winning series has proved a boon to the state of Maryland, where recognizable landmarks have made their way into "House of Cards" episodes. Fans will recognize Patterson Park in Southeast Baltimore as the place where Spacey's character, Frank Underwood, likes to ride his bike. The Baltimore County Historic Courthouse in Towson has subbed for the halls of Congress and viewers can venture to the nearby café, Cunningham's, to see the site where the character Seth Grayson takes a meeting in Season 5. For Season 4 alone, almost 2,700 cast, crew and extras were hired from Maryland, and the production bought or rented goods or services from almost 2,000 Maryland vendors, according to the Maryland Film Office. A final audit by the state found that Season 5 of "House of Cards" contributed $129 million to Maryland's economy in the form of purchased goods and services from more than 1,750 Maryland businesses and the hiring of more than 1,800 local actors, crew and extras. The state has awarded almost $60 million in tax credits to "House of Cards" over the years (which included a $7.5 million grant in Season 3). Making Hollywood magic is sometimes seasonal work, Piekutowski said, and some people depend on "House of Cards" to make it through. "One of the nice things about 'House of Cards' is it shoots from fall till spring and fills in the gap for people through the winter," Piekutowski said. "We are all like squirrels, in a way, throughout the year and try to get as much money in the spring and summer and live off that in the winter." Jena Richardson, a 28-year-old day player -- a backup crew member on heavy production days -- has worked on the show since Season 2. She says she will have to leave Maryland if "House of Cards" work runs dry because "people in the film industry go where the work is." Richardson considers Baltimore home and says it's where she wants to start a family. Roger Voter says the loss of "House of Cards" would be a "huge detriment." The show provided staffers with opportunities to learn skills commonly found in jobs in Los Angeles. "It's the most detailed TV show, more than what we have usually in the local Baltimore area, like unique small jobs like camera operators, operating booms, prop jobs," said the 27-year-old technology assistant, who worked on Season 5. "Having Baltimore locals being trained in these jobs under the masters of LA is great for their careers." Legendary casting agent Pat Moran knows all about the importance of having and retaining such series in her hometown of Baltimore. Moran, who has three Emmys, including one for her work on HBO's hit comedy "Veep," told CNN that TV and film production has dropped off considerably from the days when she was casting for such series as HBO's "The Wire" and NBC's "Homicide: Life on the Street." "We at one time were in the top five [production locations] in the country," Moran said. "It seems that a lot of stuff that was shot here gained national recognition with big directors, big studios, big shows. That's nonexistent now because the industry is pretty much gone." Moran said her own son had to relocate from Baltimore to New Orleans to get work and a former assistant is thriving in the New Orleans and Atlanta markets. Moran's son is a prop master on "NCIS: New Orleans," she said. In 2015, "Veep" moved its production to Los Angeles after four years in Maryland. "Maryland has been home to many vital HBO projects, from 'The Corner' to 'The Wire' to 'Game Change,' and the support has always been extraordinary," HBO said in a statement at the time. "The producers and HBO would like to thank Maryland for making the last four seasons of 'Veep' such a success. We look forward to returning with another production in the future." Debbie Dorsey, director of the Baltimore Film Office, told the Baltimore Sun after the announcement that "Veep" leaving "hurts not only Baltimore's creative culture, but it hurts our economy as well." She said the show hired about 1,000 locals each season and created an economic windfall of $114 million over three seasons. "Veep" also worked with 1,000 businesses each season, 400 of which were small businesses in Baltimore City, Dorsey said. Moran said her show simply received a better deal for tax incentives from California and opted to go. "It's show business and it's all about the bottom line," she said. "[Film and TV production] is basically nonexistent now [in Maryland], which I'm still scratching my head about because it is an industry and all states are looking for new industries, right?"